Many businesses understand the need for digital marketing in Malaysia to reach out to their target audiences. However, without an effective digital marketing strategy in place, they would just be shooting in the dark. Here are some simple strategies that any business owner can adopt to achieve business growth. You can’t have an effective digital marketing strategy without identifying business goals and the outcomes you want your online marketing efforts to achieve. Putting out a few social media posts or blog posts are not going to get you results in quantifiable terms. This is where a professional digital marketing company can help with superior technological expertise. After knowing your needs, objectives, and budget, digital marketing experts develop strategic campaigns and establish benchmarks for key performance indicators. They can also help track the performance of efforts using advanced data analysis tools and optimize campaigns to maximize ROI from ad spend. This eliminates guesswork and ensures that your money gets spent in the most efficient manner possible to get the results you wish to see. Knowing whom to market to is crucial for digital marketing. Developing useful buyer personas comes in handy for this purpose. Based on relevant information such as age, gender, and location of your ideal audience as well as identifying problems your business can help resolve, you can create a highly-targeted marketing campaign addressed to your target audience’s specific needs and requirements. Professional agencies for digital marketing in Malaysia take it further by leveraging various technological tools to delve into their interests, emotional goals, aspirations, and desires. This information is used for designing strategic, tailored marketing campaigns that resonate with audiences and lead to increase conversions and sales. There are many clever ways to drive traffic to your business website which is where actual conversions and sales take place. 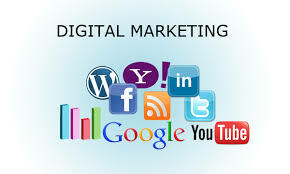 Depending on client’s business profile, professional agencies for digital marketing in Malaysia recommend different strategies such as SEO to get higher search engine rankings as well as content marketing in the form of blogs, videos and articles on authority websites. By inserting relevant keywords links and strong call-to-action messages into content, your prospective customers can be encouraged to visit your website’s optimized landing page. Creating engaging social media content is another excellent way to attract quality leads and forge relations with prospective customers. Consult a reputed digital marketing agency and work out ways to effectively incorporate these strategies to increase sales and revenue for your business!